A party or celebration isn’t complete to me without a good punch! I have been a lover of a good punch since I was a little girl. Apple Juice and Sprite was my first mix as a child. I just love a nice refreshing beverage! 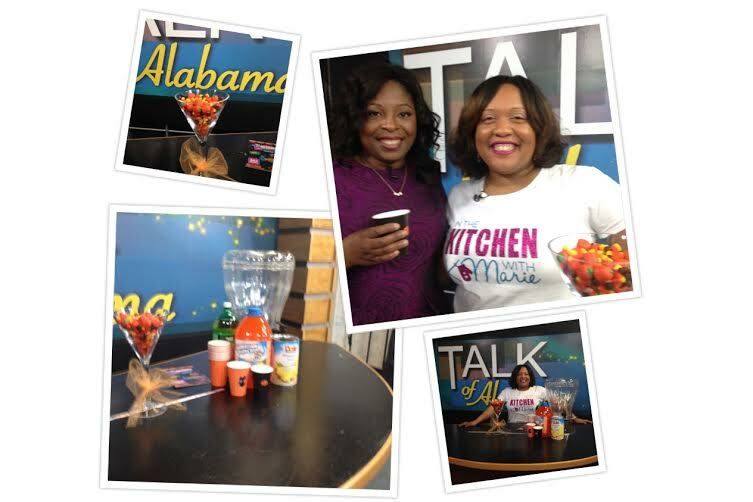 I had the pleasure of sharing my easy party punch recipe on ABC 33/40 for Halloween and I had a blast! I hope you guys enjoy my easy punch recipe! Mix all ingredients in a punch bowl or punch dispenser and add ice! Tip: Add 1 of can pineapple chunks or 1 can of fruit cocktail for a twist. It is really cute to match your Hawaiian Punch with your event colors. I love easy punches like these!! !